CPAP machines blow air at a pressure high enough to keep your airway open during sleep. Modern machines offer therapy tracking software, off grid power options and heated humidification. Machine type is determined by the complexity level of the machines air delivery algorithm. CPAP machines blow one pressure no matter what, APAP machines adjust in a breath by breath basis to your ideal pressure and BiPAP machines blow one inhale and one exhale pressure. How Do I Clean the CPAP Machine? Cleaning the CPAP machine itself isn't that involved or difficult. All that's needed to is to clean the outside of the machine casing with a damp cloth, removing any dust or buildup on the outer case. One should be far more concerned with cleaning the CPAP mask and hose, as this is where most of the germs in your therapy are found. The CPAP fine filters should be replaced once a month (or when showing signs of discoloration), and the CPAP reusable filter once every six months (or when the filter begins to break down). CPAP machines work by gently pressurizing the outside air using a motor, and then delivering it to your mouth or nose with a hose and a mask. The mask covers your mouth, nose, or both; creating a seal that ensures that the pressurized air doesn't escape and is able to reach the lungs. The pressurized air acts as a splint that gently holds your airway open while you sleep. As air is able to reach your lungs, you're able to get better and more productive sleep. The improvement in the quality of your sleep will help relieve the symptoms of Sleep Apnea that you may be feeling during the day. The idea for a CPAP machine was originally conceived as a vacuum motor in reverse. Instead of sucking in, the motor worked by blowing out. Over time, CPAP machines have evolved dramatically, with more brands and styles being available now than ever before. 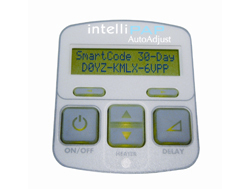 We now have APAP machines, which automatically adjust the pressure being supplied on a breath-by-breath basis. We also have BiPAP machines (also known as BiLevel or BPAP machines), which are able to deliver a higher pressure for inhalation and a lower pressure for exhalation. 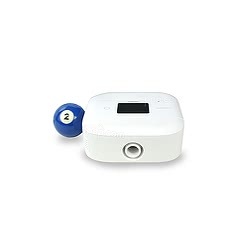 BiPAP machines can make it easier to exhale and can raise blood oxygen levels. CPAP machines are the least sophisticated and typically range between $200-$800. 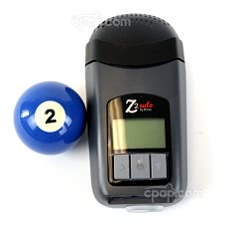 APAP machines are more advanced than CPAP machines (due to their ability to adjust pressure automatically), and typically range between $400-$900. 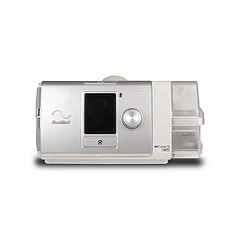 BiPAP machines are the most sophisticated of the three and start out around $1,100. How Long Do CPAP Machines Last? A CPAP machine will last roughly 3 - 5 years, or about 20,000 hours of use. Some CPAP machines have been known to make it to 50,000 hours of constant use. CPAP machine longevity depends a lot on how much you use your machine, and how well you maintain it. Doing things like changing the filters regularly and cleaning the machine will add to its lifespan. Modern CPAP machines aren't as loud as some of their ancestors, with many of the top machines on the market today registering between 26 dBA - 31 dBA, which is considered to be almost whisper quiet. Older machines can be a lot noisier, and are a reason many people have discontinued therapy. If you have an older machine, and are concerned about noise, consider upgrading to a new CPAP Machine. Another source of noise from a CPAP machine actually has nothing to do with the machine itself. CPAP masks create noise when venting exhaust from the mask. As CPAP machines have gotten quieter, CPAP masks have gotten quieter too. Today's masks are also considered almost whisper quiet, and do a good job of reducing noise from the venting process to as low as 14 dBA. While it will take some time to get used to the noise from the machine and the mask, eventually most CPAP users get used to it. 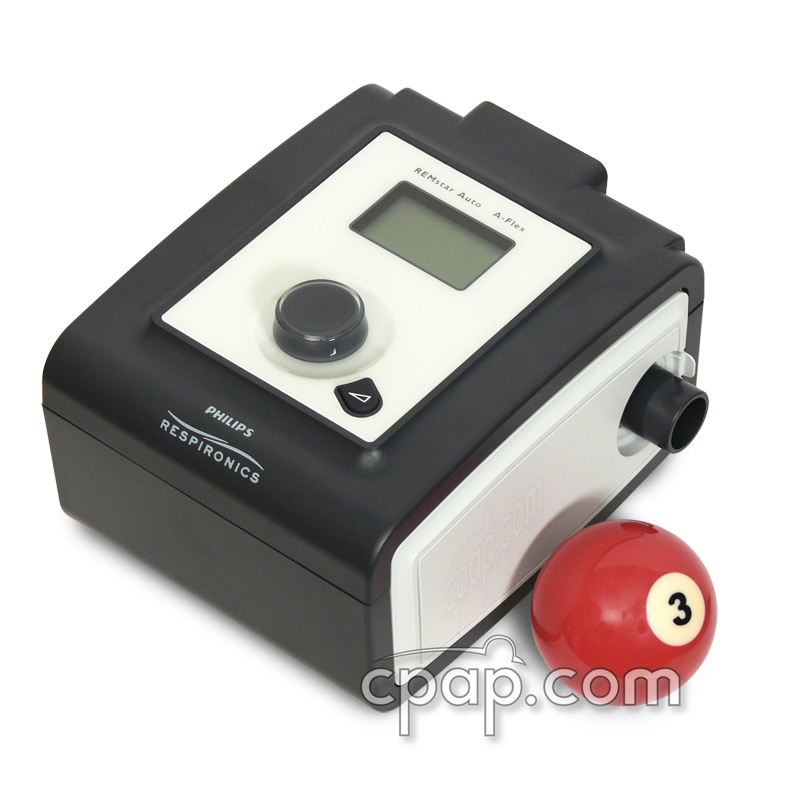 CPAP machines don't create or supply any oxygen as a normal part of CPAP therapy. Oxygen Concentrators, on the other hand, are designed to do exactly that -- create oxygen! Oxygen Concentrators take the outside air and filter out all other gasses and pollutants, leaving the patient with almost pure oxygen. The oxygen is fed to the nostrils through an ultra-slim tube (known as a cannula), and as the patient breathes in this oxygen rich air, it raises blood oxygen levels. CPAP Machines simply pressurize the ambient air, not just oxygen. Are Used CPAP Machines Safe? 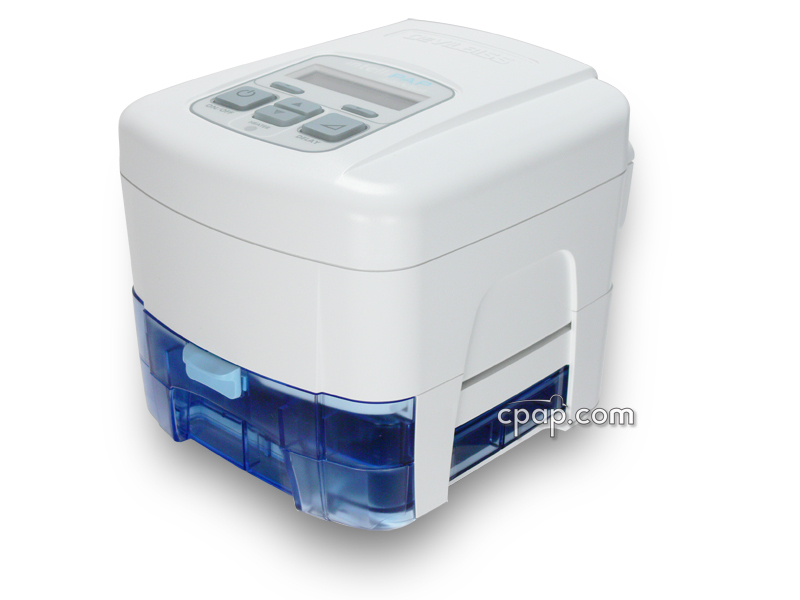 It's not recommended to buy a used CPAP machine and use it for ongoing CPAP treatment. Doing so can increase exposure to harmful pathogens, germs, and bacteria left behind by the former owner. It's also not easily apparent how the machine was cared for. Was it cleaned with harmful toxins like bleach or household cleaners? If cleaned with these harsh substances, CPAP air could become toxic, exposing the user to chemicals that could be detrimental to their health. Another potential issue with a used machine is it won't necessarily be set to the correct pressure setting, which could drastically effect the effectiveness of therapy and side effects. Which CPAP Machine is Right for Me? The right CPAP machine is going to depend on quite a few factors, and all are very personal decisions. In order to get the best one, it's helpful to know how a person actually sleeps and not image how one would like to sleep. Getting a first machine requires selecting two different products: a machine and a compatible mask. For most people, an APAP machine is going to be the best kind of machine, because of its ability to adjust therapy pressure automatically. CPAP machines are set at one specific pressure, and have no ability to adjust to a different pressure, without manually doing so. A person could also be prescribed a BiPAP machine by their physician. A BiPAP machine (also called a BiLevel) uses two different pressures, a higher pressure for inhalation, and a lower pressure for exhalation. A BiPAP is designed to treat specific things, and would have to be specially prescribed by a doctor. 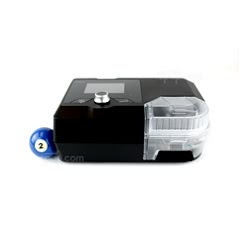 An APAP machine can be purchased with a CPAP prescription. 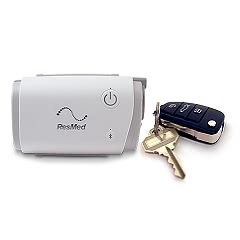 CPAP machines also have different features, such as size, portability, noise level, therapy data recording, along with using certain features that allow for more comfortable breathing. It's important to consider some of these features when shopping for your dream machine, as no two machines are the same. You can view a breakdown of these features in our Guide to Features and Options. CPAP.com offers over 45 different machines. All machines offer ramp capabilities. With ramp, your machine will build up to your pressure setting, instead of starting at full pressure. All CPAP machines have a filter. It is located at the air intake at the back of the machine. If you are unsure what your machine set up includes, check the product description for a full list of included items.